This may or may-not be this first time you’ve heard about LauderAle. Back in the end of July they did an interview with the Sun Sentinel as they were getting ready for their soft opening. The plan was for friends and family to come out and sample their wares, giving them some time to work out the kinks and help prepare them for a more grand opening to the general public. But that’s not how things played out. As soon as the article hit, the taproom was swamped with people looking to try Broward’s newest brewery. In their very first weekend they nearly ran out of beer. Now that they’ve had some time (and some additional fermenters) to catch up, they’re ready for that opening to the general public. They’re even shopping around for a much bigger system, and laying out the plans for much bigger future. Established in January, 2013 LauderAle is a small batch, electric-fired brewery located just outside of Port Everglades in Fort Lauderdale, Florida. 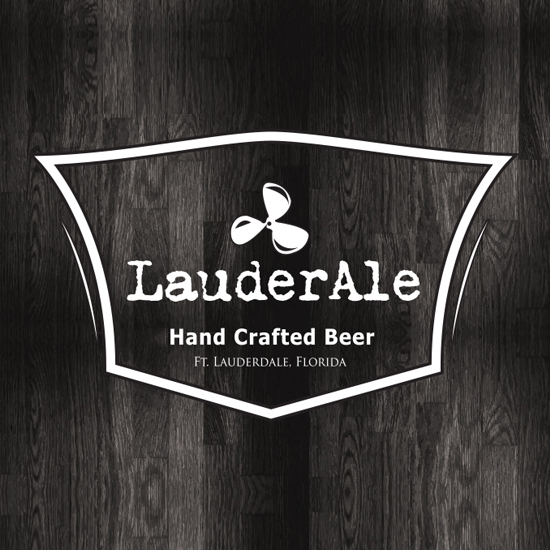 Founded by Fort Lauderdale natives, LauderAle is currently the only Nano Brewery operating in South Florida. They pride themselves on cultivating authentic ales centered around local culture and influence. Their current offerings range in style from traditional Blonde Ales to Coffee Porters and Imperial Stouts, and include plans for a wide range of rotating seasonals and special releases. They also feature several guest taps from other Florida breweries.